Wine is my first love, my business, my hobby and my avocation. I’m the man I am today because of a single sip of wine that sent me on a fantastic odyssey of learning, both about grapes, vineyards, winemaking and wine, and about how to write about it, think about it and how to parse the culture and fellowship of wine into my life, and share it with others. But I also love beer, and I pursue it with as much passion as I do my winemaking. 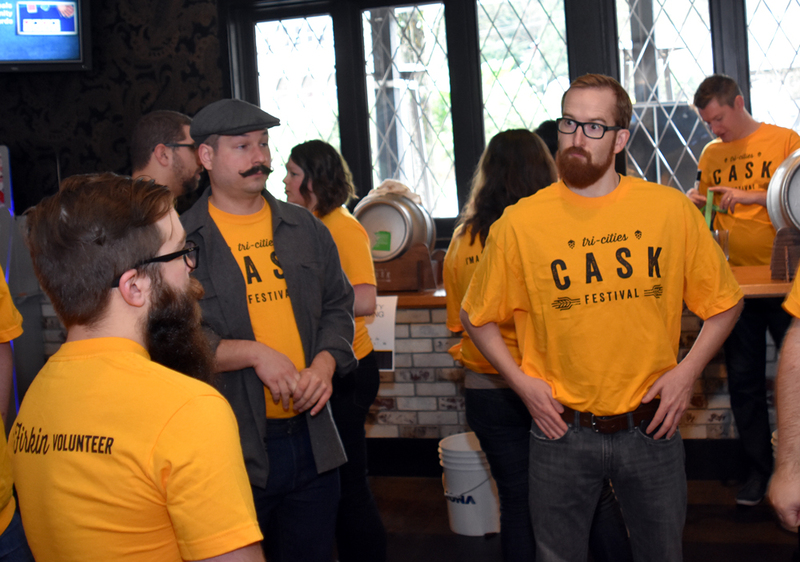 Aside from all-grain brewing and messing about with professional brewers and hanging out in brew clubs, I’m also part of the Tri-Cities Cask Festival Society. 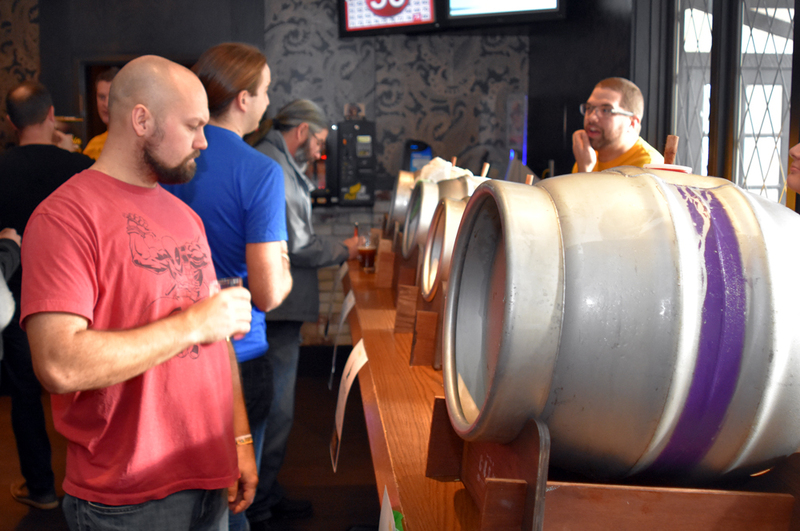 We organise beer festivals that are structured around traditional cask-style beers. 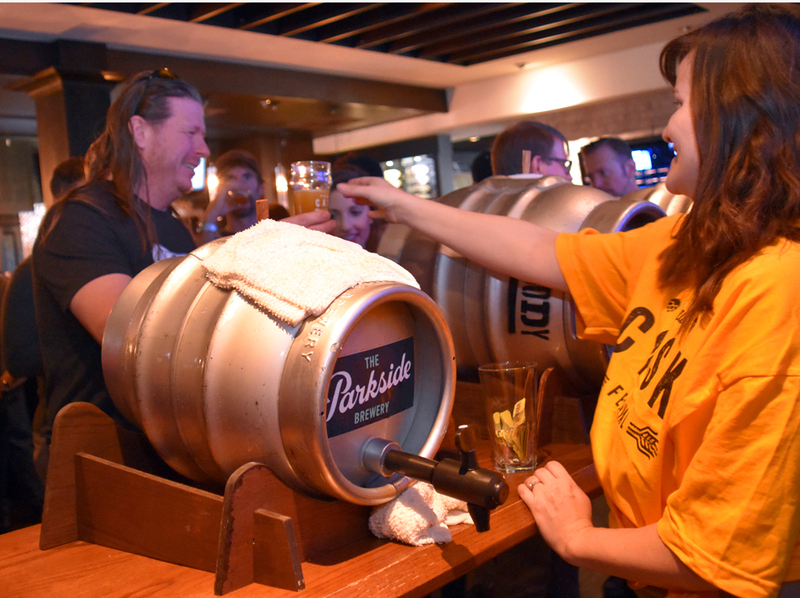 Simply put, cask beer is beer, but it’s beer from another time. Almost all modern beer, whether served in a bottle or on draft, is carefully filtered to remove solids and to make it sparklingly clear, and then carbonated with an addition of CO2 gas to make it fizzy. 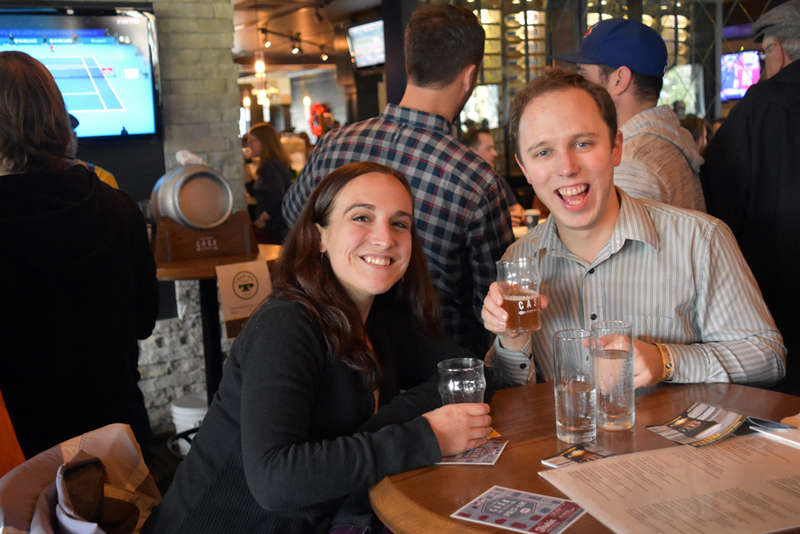 Cask beer, by contrast, isn’t filtered: all of the stuff that gives beer body, flavour, aroma and distinct character is left in. 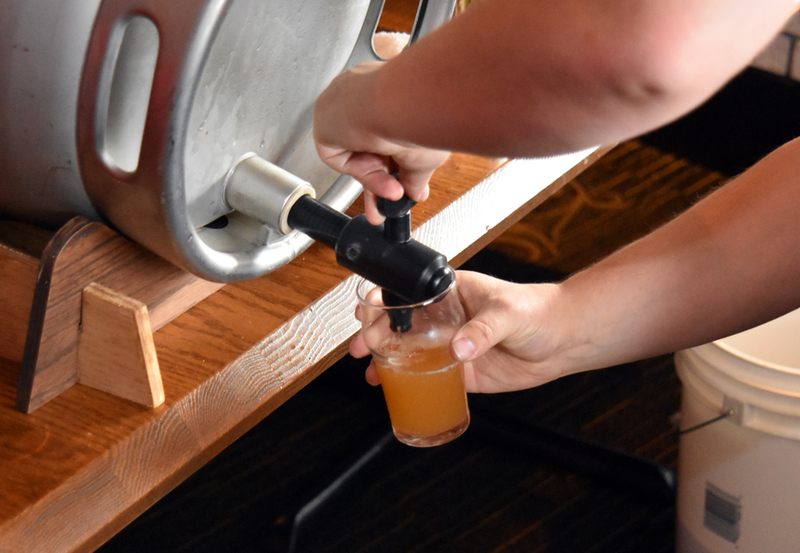 In addition to that, cask beer is naturally carbonated–when it goes into the keg it’s primed with a little extra fermentable material and then sealed up. 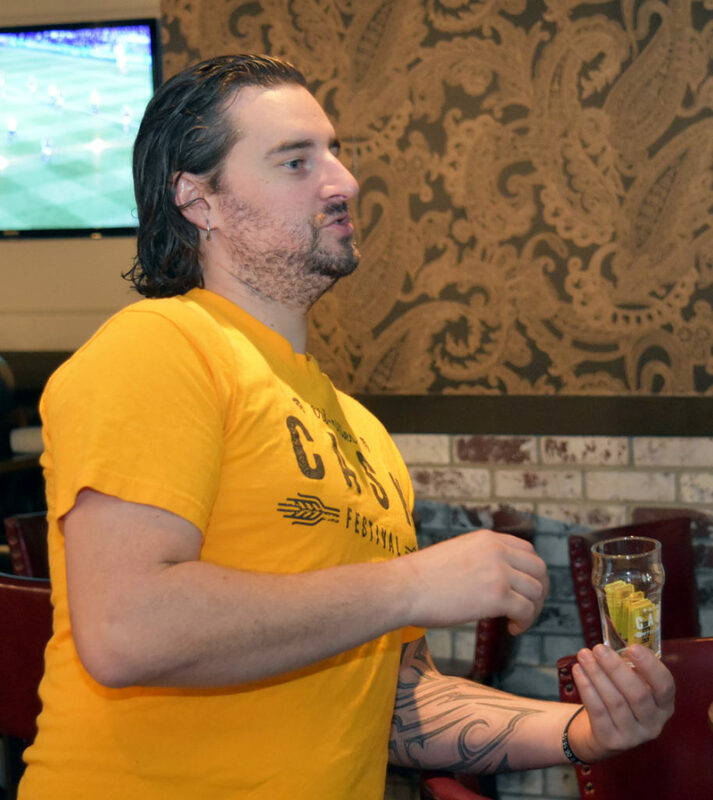 The live yeast in the beer (which we didn’t filter out) eats the fermentable sugars and produces carbon dioxide, which gives the beer a smooth, luscious and creamy mouth-feel, without any of the prickly or ‘scrubby’ character of artificially carbonated beers. 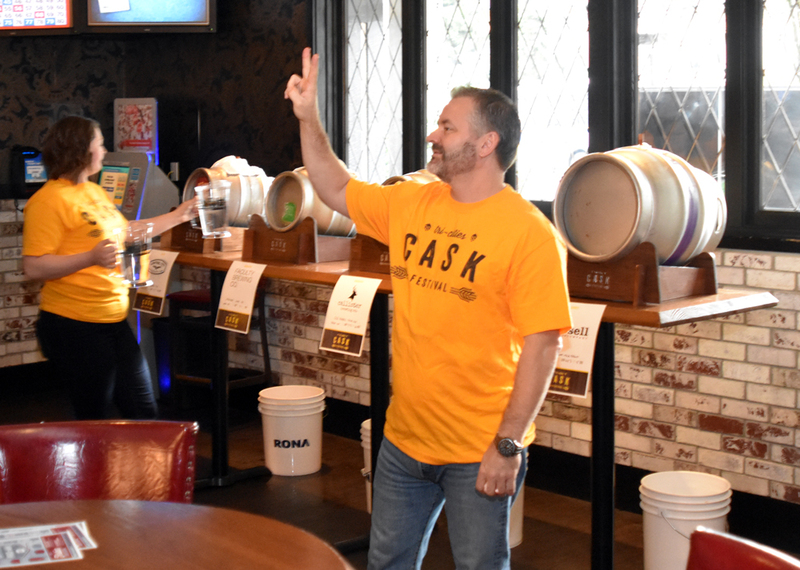 Cask beer is different from standard draft beer, which is kept very cold, and pushed out of the keg under gas pressure, to keep the fizziness high. In a much gentler method, casks are carefully vented and then tapped, and the beer is allowed to flow with great gentleness into the glass–no gas pushing and no numb, ice-cold fizziness, just flavourful, delicious beer nirvana! 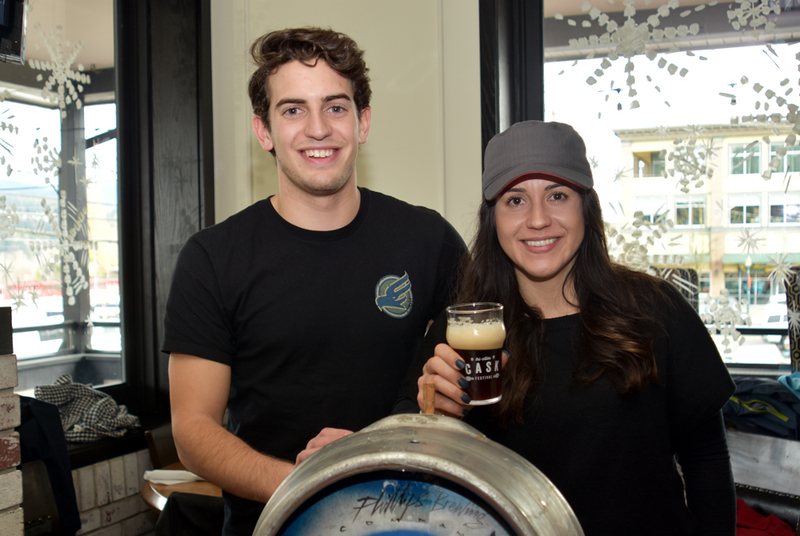 The Phillips crew, serving up a gummy cola ale–you could really taste the cola! Brewed by the Tri-Cities Homebrew club, and it was delcious! 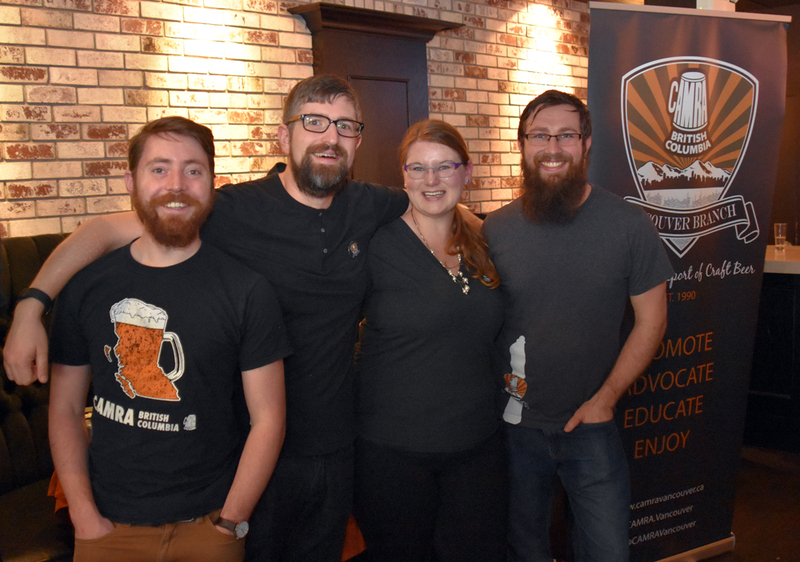 Our latest festival was at the Burrard Public House in Port Moody. We not only had cask beers, but also cask-beer based cocktails, great food and a crowd of over 175 people tasting more than 20 wonderful beers. The best part for me? 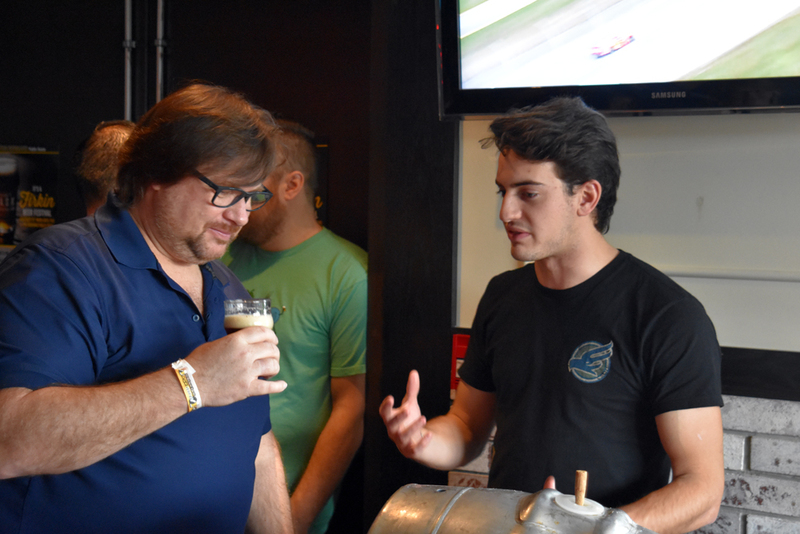 Tapping kegs. 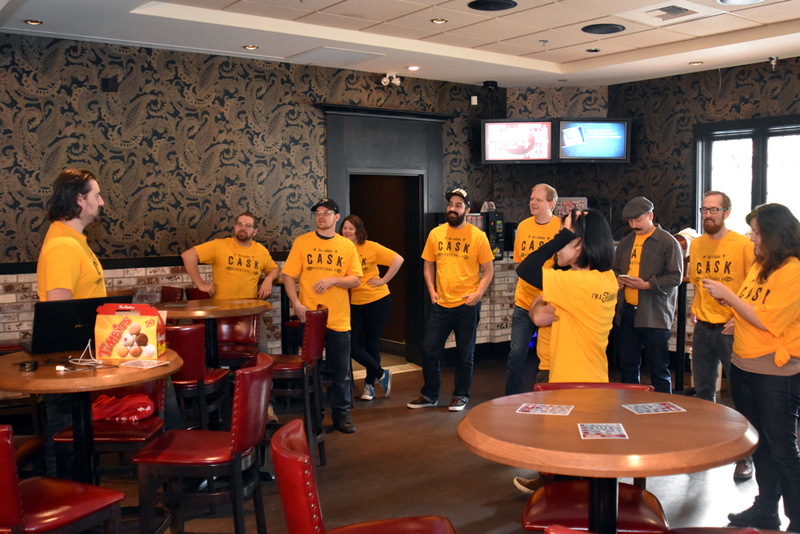 We had our usual crew of volunteers, who did a fabulous job–they’re all amazing hard workers who put in a lot of effort and time. Without them, we wouldn’t have a festival at all, and I’m constantly impressed with their dedication and hard work. James, our volunteer coordinator gives the pep talk first thing. Women are exempted from the facial-hair rule. 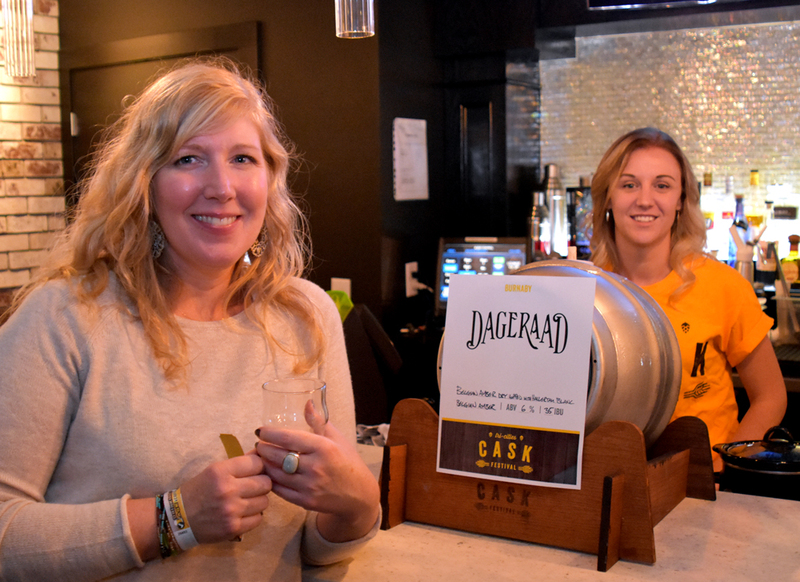 Dageraad’s first cask beer ever! Novia and Sho help our guests sign in. 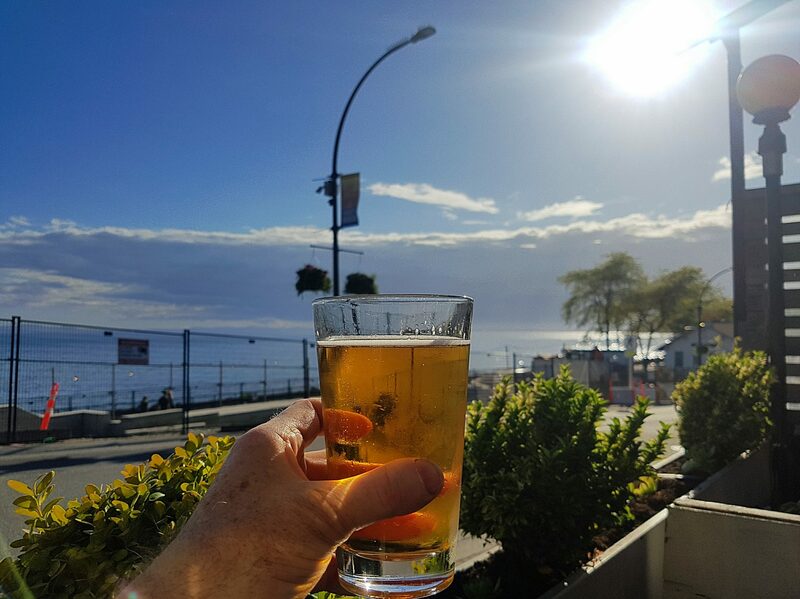 We also partner with CAMRA Vancouver, who have the Safe Ride Home program that lets cask enthusiasts enjoy the festival, and then take transit home, all for the same ticket price. They’re a great part of every festival. The TCCFS executive is there as well. It’s a little nail-biting getting everything organised and set up, but once it’s done we’re pretty happy to let it unfold. This is my glass. There are others like it, but this one is mine. But the festival is all about the people who come, and at every single festival I have yet to see someone who isn’t having a great time. The only disappointed people are the ones who couldn’t get tickets! Wait, have I had this one yet? Yes, it’s supposed to taste like cola! 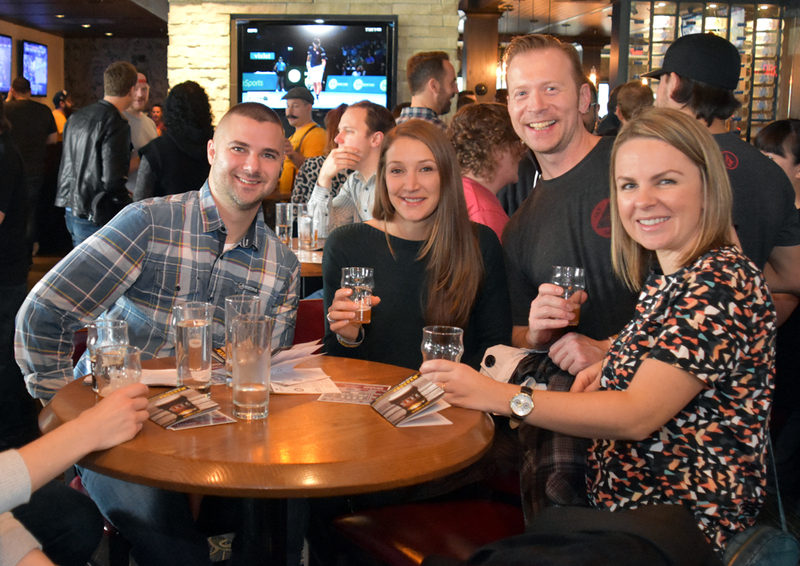 If this looks like the kind of thing you’d like to try out, you’re in luck: we’re holding another festival on January 22nd, at the Executive Plaza in Coquitlam. 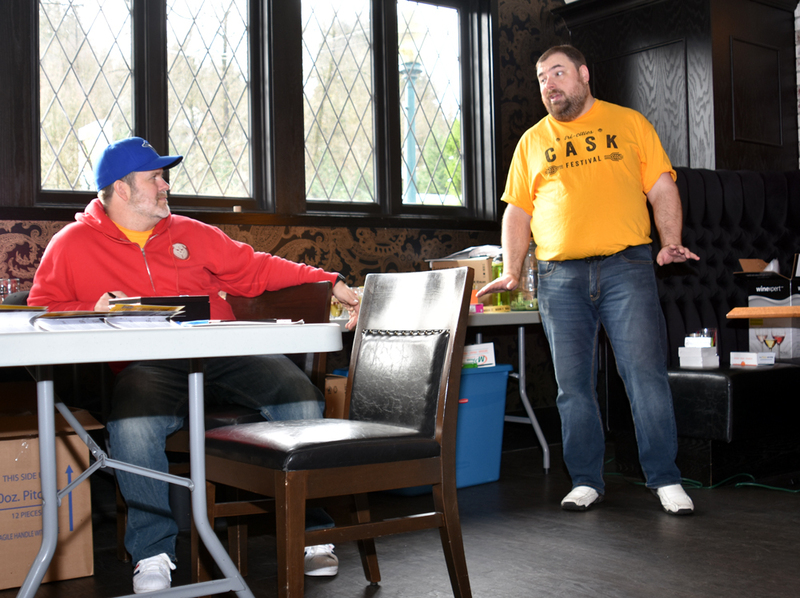 It’s a Pro-Am competition, the only one of its kind in Canada, and will feature local brewing clubs making beer under the license of their community craft brewery, and competing againts all the other casks, professional and amateur, for the title of Best Beer! 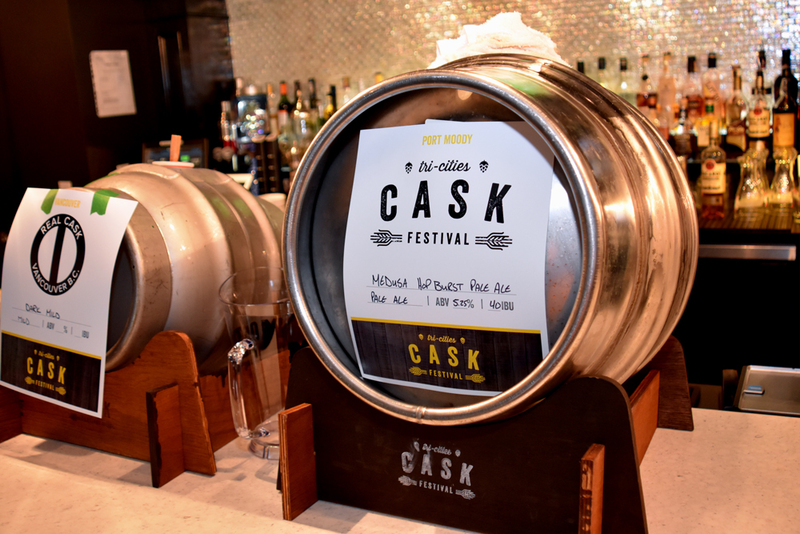 Check it out and get tickets here: Tri-Cities Pro-Am Cask Festival. 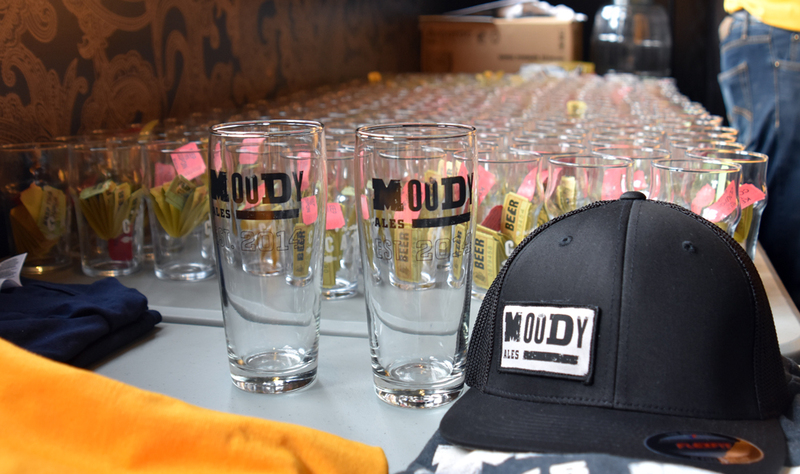 They’re $49.00 and come with ten tasters, a souvenir glass, and you even get a burger and a trip through the custom poutine bar! I say this consistently: America is the greatest country in the world, with limitless potential and wonderful ideals and great people. No matter how this day turns out, America will still stand, as proud and tall as ever, because it is full of Americans–not politicians, not pundits, not media types, but American citizens. There are two types of countries in the world, and one of them sent a man to the moon. You know, the people who walked on the moon, helped win two world wars and created the greatest democracy on the planet. Those people. Please remember that as you exercise your right to vote, be of a calm heart, and may your God bless you all. katefate on Glitter Wine Is Here!